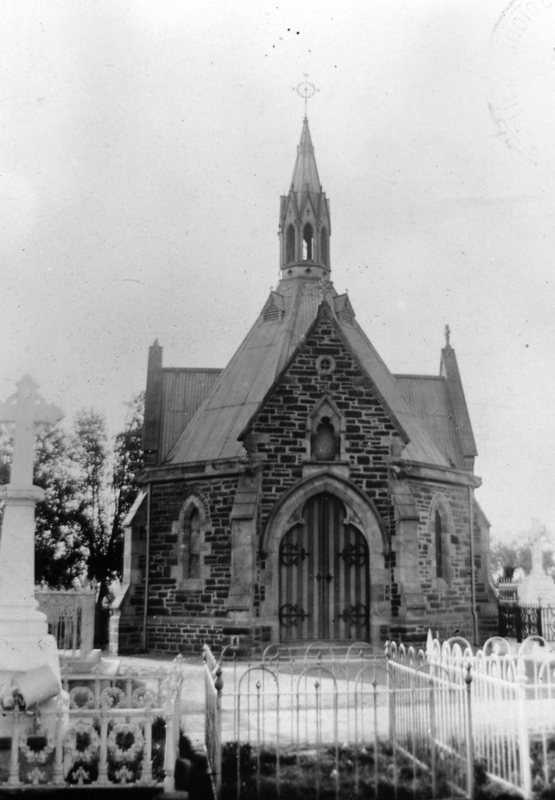 Within West Terrace Cemetery are the graves of a number of prominent South Australians who were an important part of Mary’s time in Adelaide. 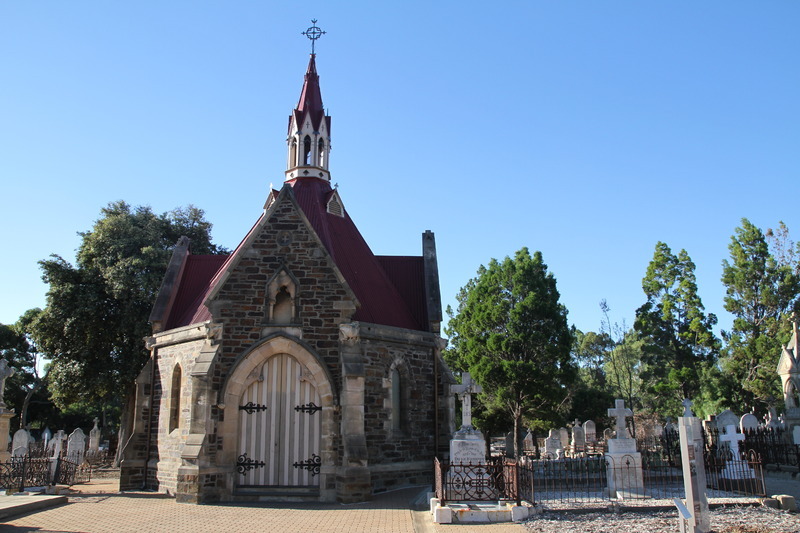 Located in the Catholic section of the cemetery is Smyth Memorial Chapel. The octagonal-shaped chapel was built in as a memorial to Father John Smyth. A popular priest, Father Smyth was appointed the Vicar-General for the Diocese of Adelaide in 1866. He played a key role in the early construction of St Francis Xavier’s Cathedral and Hall. Archdeacon Patrick Russell laid the chapel’s foundation stone, and it was opened and consecrated by Bishop Laurence Sheil on 11 December 1871. Mary’s excommunication was still in effect at the time of the chapel’s opening. The graves of Father Smyth, Archdeacon Russell and Bishop Sheil are located in the chapel’s crypt. 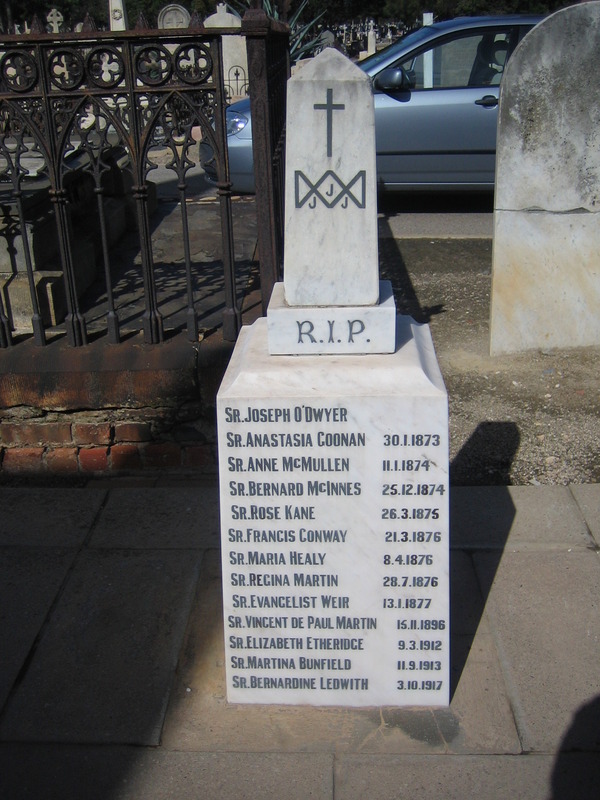 In the nearby Jesuit section of the cemetery is the grave of Mary’s younger brother, Father Donald MacKillop. Donald arrived in Penola at the age of 13 whilst Mary was teaching at the school there. The following year, he attended school at St Aloysius College under the guidance of the Sevenhill Jesuits. 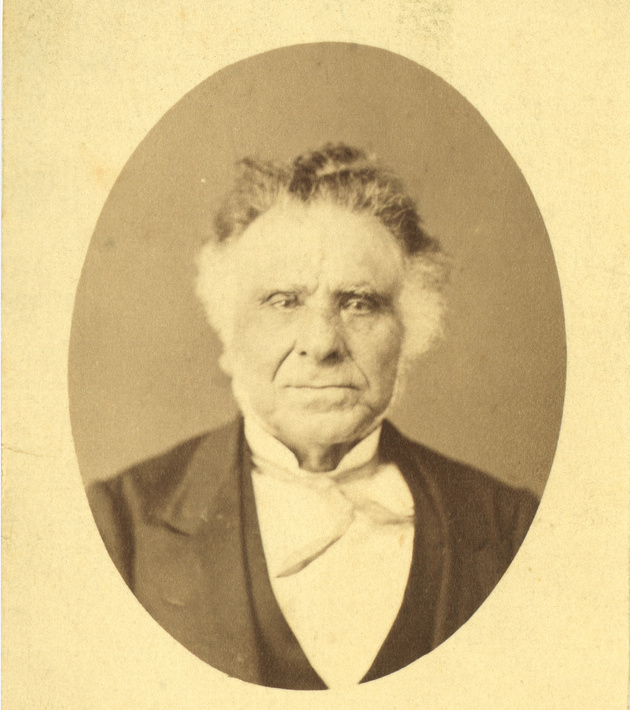 Donald later entered the Order, one of the first Australians to do so. Donald and Mary were very close and supportive of one another, writing often of their work and its rewards and challenges. Donald passed away in North Adelaide on 2 February 1925. 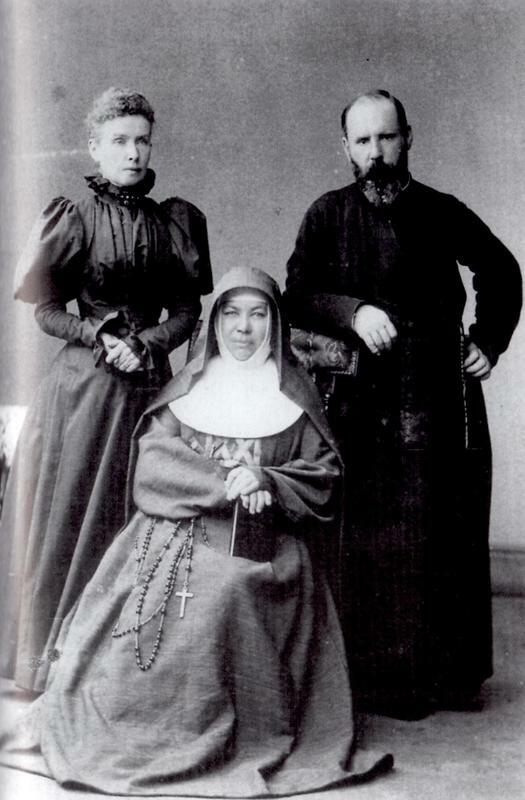 The Adelaide City Explorer Team and Mary MacKillop Centre Adelaide, “Mary MacKillop: West Terrace Cemetery,” Adelaide City Explorer, accessed April 24, 2019, https://adelaidecityexplorer.com.au/items/show/144.